We used to have a Garden Party in June or July, but it rained so often, forcing us indoors, that it is now called a Summer Party. For many years Keith & Jean have been kind enough to host this event. 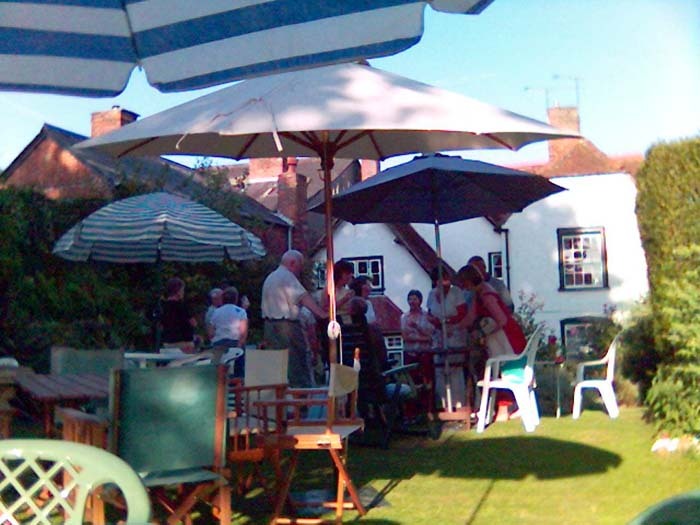 In recent years Maureen & Alec have been kind enough to host a Barbecue in their lovely garden (or garage if raining!). Some of the keener members like to walk there, and a few even walk back afterwards.